Laina Greene is a serial entrepreneur and also social impact investor. She worked in the telecom and clean tech space over 25 years in 47 countries around the world. Audrey Tan is a well-known social entrepreneur in Singapore. Audrey’s passion for poverty alleviation has her leveraging her presence in Singapore to help social enterprises in ASEAN. 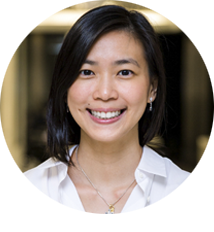 ​After working in technology for the last 8 years and studying Technology Entrepreneurship in San Francisco, Audrey returned to Singapore and set up PlayMoolah, a social enterprise which educates children, parents and young adults about managing money. Patricia Lim is a business advisor to various regional internet start up companies. She has assisted in formulating business, sales and marketing plan including reviewing business model, budget P&L and the execution of the business plan. She has also invested in various start up company (SEA region). Patricia was also ex- Asia Pacific Cash Product and client services Head of RBS Markets and International Banking. 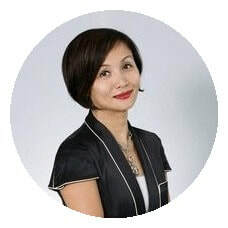 She had worked in Malaysia, Hong Kong, Bangkok and China prior - managing a cross team of different regions in Asia Pacific (Singapore, Malaysia, Indonesia, Thailand, China, India and Hong Kong). She has won key regional deals from various industries, and restructured the team by making personnel changes and coaching and mentoring key staffs. 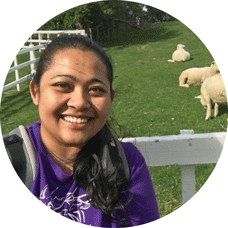 Beverley was a missionary in New Zealand for almost 2 years before returning to Singapore with a desire to continue in something meaningful. When Beverley discovered Angels of Impact, she saw the amazing work they were doing, and the empowerment of women resonated deeply within her, such that she knew she wanted to be part of the team. Currently, Beverley is supporting the A.I. team on all things administrative. ​Bryan is a penultimate year business student at SMU. He is passionate about applying new technologies to further social impact. 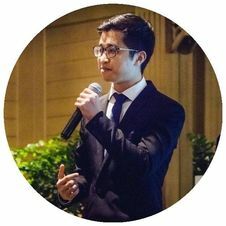 Bryan firmly believes that AI is the right channel to combine the skills learnt as a finance student and a freelance programmer to eliminate poverty. At Angels of Impact handles all things related to innovation and technology. ​Madi is a literature student at Yale-NUS. She has a heart for social justice and the stories of those who make it possible. 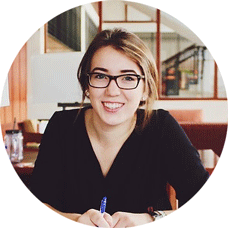 The same potential for wide scale change that inspires her interest in public service has also sparked her passion for social entrepreneurship. 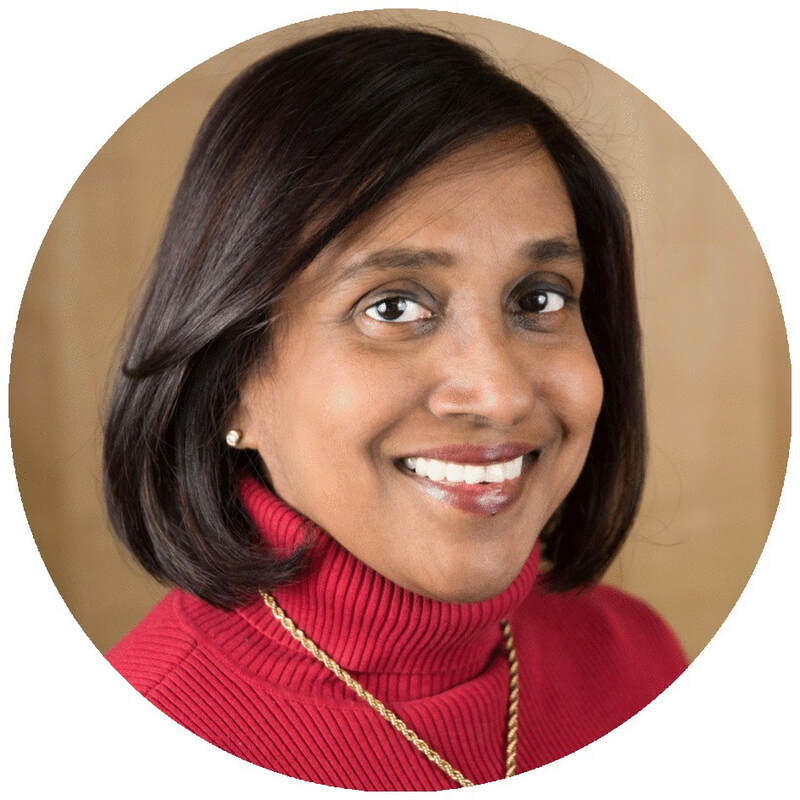 Prior to working for Angels of Impact, she collaborated with women entrepreneurs in Minnesota through the Academy for Women’s Empowerment, WomenVenture, and Team Women MN. She enjoys the ambition behind the mission most at AI, where she does all things wordsmith. 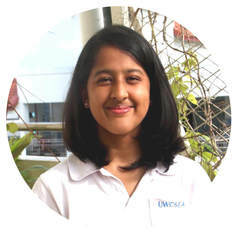 Taavishi is a Physics student at Yale-NUS College. She is a strong champion of the inclusion of women in STEM. Taavishi believes that Angels of Impact demonstrates the power encompassed in the shift from viewing women as victims to pioneers of change. She was drawn to AI due to its innovative and critical solution to sustainably tackling poverty. She supports AI through conducting research. Emanuela is a lawyer in Italy, but a little over a year ago she moved to Singapore and decided to take this opportunity to engage with something different, something that could have a positive impact on the world. In her search she met Laina and Audrey and they immediately understood it was a perfect match! She is happy to provide Angels of Impact with her legal expertise but isn't afraid of trying new areas as well, like marketing, sales strategy or social media communication where she is learning fast. Her motto is "one for all - all for one". ​Andrew joined AI because he wanted to be part of a passionate team to help eliminate poverty for a good cause. He believes everyone must be given an equal chance to succeed in life be it rich or poor. Andrew handles Logistics and Business Development Support. 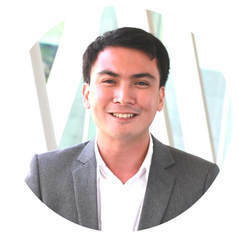 ​Marc is a graduate Student in MSc Management at NUS. Coming from Switzerland and travelling for months in Indonesia made him aware of the immense inequalities on our planet. After hearing a talk from Laina, Marc immediately knew he wanted to be part of A.I. and their fight against poverty and inequality. He is convinced that the best way to end poverty is the empowerment of social entrepreneurs (especially women). Rita is a marketing professional who has spent much of her career in companies such as SPH, NCR and PayPal but now she has decided to channel her creative energy elsewhere. In finding her own purpose in life, she has found her answers in helping others, particularly women. At Angels of Impact, she is very happy doing different marketing projects to push Angel of Impact’s message to the world. In her free time, Rita bakes and cooks with superfoods to nourish the beautiful souls in her life. Work with us today! Click here to find out more.